These feathers won't tickle. We promise! 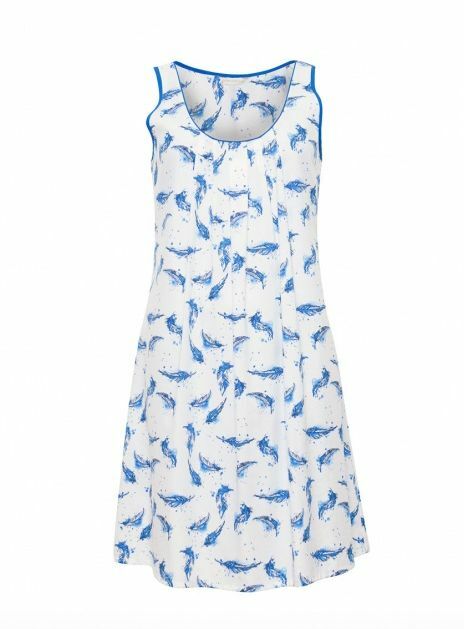 This stunning printed chemise in fresh blue and white, is made from 60% cotton and 40% modal to give ultimate softness and comfort. The neck is scooped at the front and curved at the back. 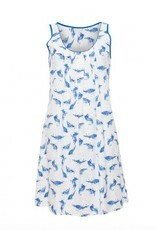 The gentle pleats on the front of the chemise create a flattering, comfortable fit. 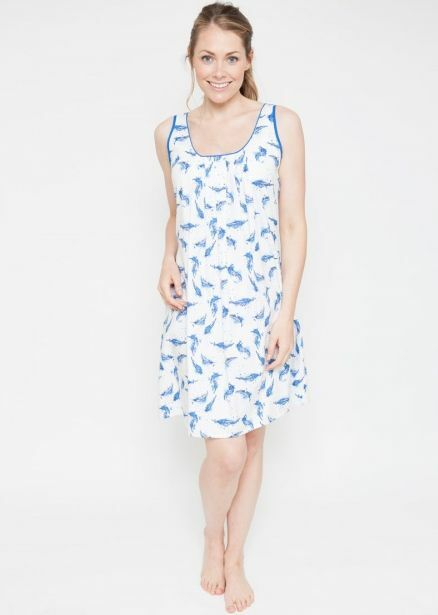 The chemise is finished with blue modal piping.